We have a dedicated administration team that contact patients from all of our practices to book appointments and offer help and advice, EEHN also organises events throughout the year to improve public awareness and how to have a healthier lifestyle. What is an ﻿NHS﻿ Health Check? The NHS Health Check is your chance to get your free midlife MOT. For adults in England aged 40-74 without a pre-existing condition, it checks your circulatory and vascular health and what your risk of getting a disabling vascular disease is. This guide explains what happens at the check, when and how you get one, and how to lower your risk. If you're in the 40-74 age group without a pre-existing condition, you can expect to receive a letter from your GP or local authority inviting you for a free NHS Health Check. Don't worry if you haven't got your invitation yet, as you will be invited for one over the next few years. In the meantime, there are other ways of getting your health checked. Why should I get checked? As we get older, we have a higher risk of developing something dangerous like high blood pressure, heart disease or type 2 diabetes. Your NHS Health Check can spot early signs and help prevent these happening to you, which means you'll be more likely to enjoy life for longer. Start by taking the online heart age test to see how healthy your heart is. 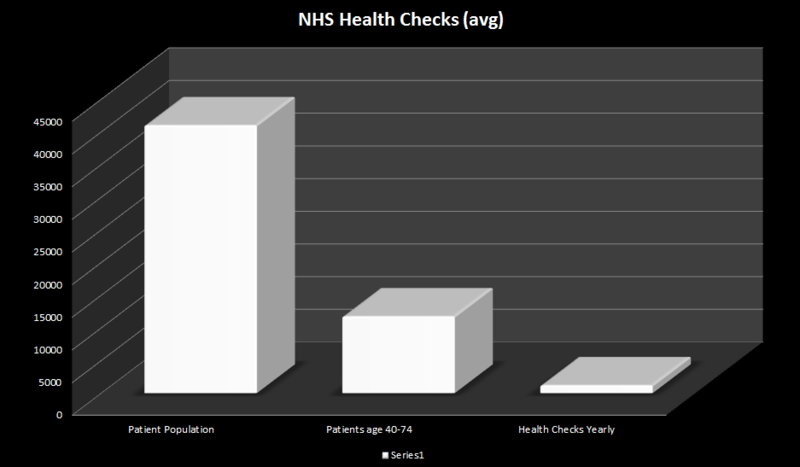 Once you've had your NHS Health Check, your healthcare professional will discuss your results with you. You'll be given advice and support to help you lower your risk and maintain or improve your vascular health. But you don't have to wait until your NHS Health Check appointment to make healthy changes. Start now with these health apps and trackers.